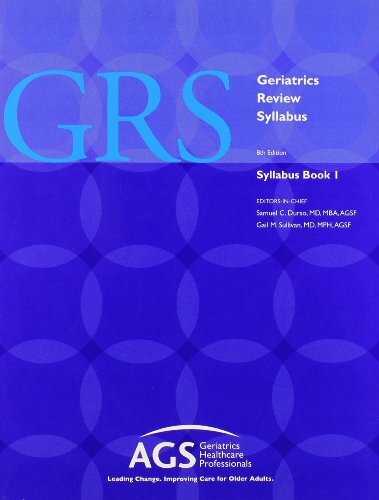 Readings and tools to support residents' learning during the geriatric medicine and palliative medicine rotation. Back, A., Arnold, R., Baile, W., Tulsky, J., & Fryer-Edwards, K. (2005). Approaching difficult communication tasks in oncology. CA: A Cancer Journal For Clinicians, 55(3), 164-177. Pitorak, E. (2005). Care at the time of death... originally published in AJN, American Journal of Nursing, 103(7), 42-52, July 2003. Reprinted with permission. Home Healthcare Nurse, 23(5), 318-329. Searight, H. R., & Gafford, J. (2005). Cultural diversity at the end of life: issues and guidelines for family physicians. American Family Physician, 71(3), 515-522. Wood, G., Shega, J., Lynch, B., & Von Roenn, J. (2007). Management of intractable nausea and vomiting in patients at the end of life: "I was feeling nauseous all of the time . . . nothing was working". JAMA: The Journal Of The American Medical Association, 298(10), 1196-1207. Balaban, R. (2000). A physician's guide to talking about end-of-life care. Journal Of General Internal Medicine, 15(3), 195-200. Tulsky, J. (2005). Perspectives on care at the close of life. Beyond advance directives: importance of communication skills at the end of life. JAMA: Journal Of The American Medical Association, 294(3), 359. Wright, A., & Katz, I. (2007). Letting go of the rope--aggressive treatment, hospice care, and open access. The New England Journal Of Medicine, 357(4), 324-327. Prendergast, T., & Puntillo, K. (2002). Withdrawal of life support: intensive caring at the end of life. JAMA: The Journal Of The American Medical Association, 288(21), 2732-2740. Appelbaum, P. (2007). Clinical practice. Assessment of patients' competence to consent to treatment. The New England Journal Of Medicine, 357(18), 1834-1840. Raji, M., Kuo, Y., Freeman, J., & Goodwin, J. (n.d). Effect of a dementia diagnosis on survival of older patients after a diagnosis of breast, colon, or prostate cancer - Implications for cancer care. Archives Of Internal Medicine, 168(18), 2033-2040. Mitsumoto, H., & Rabkin, J. G. (2007). Palliative care for patients with amyotrophic lateral sclerosis:“prepare for the worst and hope for the best”. Jama, 298(2), 207-216. On the upper right corner of screen, click to create an account. Toggle to find George Washington University Hospital. Create an account, agree to the terms, and login. Go to 'CAPC Central' then click on 'Training Curriculum.' 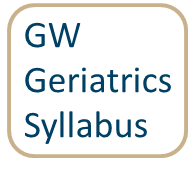 Recommended modules are: Pain Management Curriculum; Communication Curriculum; and, Symptom Management Curriculum. Haque, R. (2009). ARMOR: a tool to evaluate polypharmacy in elderly persons. Annals of Long-Term Care, 17(6), 26-30. Ayello, E. (2007). Predicting pressure ulcer risk. Try This: Best Practices In Nursing Care To Older Adults, (5), 2p-2p 1p. Waszynski, C. M. (2007). The Confusion Assessment Method (CAM). 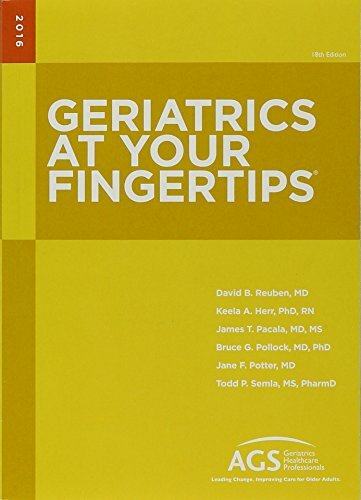 Try This: Best Practices In Nursing Care To Older Adults, (13), 1. Kurlowicz, L., & Greenberg, S. (2007). The Geriatric Depression Scale (GDS). Try This: Best Practices In Nursing Care To Older Adults, (4). Graf, C. (2008). The Hospital Admission Risk Profile (HARP). Try This: Best Practices In Nursing Care To Older Adults, (24). Wallace, M., & Shelkey, M. (2007). Katz Index of Independence in Activities of Daily Living (ADL). Try This: Best Practices In Nursing Care To Older Adults, (2), 2p-2p 1p. Doerflinger, D. (2007). Mental status assessment of older adults: the Mini-Cog. Try This: Best Practices In Nursing Care To Older Adults, (3). Barry, P. J., Gallagher, P., Ryan, C., & O'mahony, D. (2007). START (screening tool to alert doctors to the right treatment)—an evidence-based screening tool to detect prescribing omissions in elderly patients. Age and Ageing, 36(6), 632-638. Gallagher, P., & O’Mahony, D. (2008). STOPP (Screening Tool of Older Persons’ potentially inappropriate Prescriptions): application to acutely ill elderly patients and comparison with Beers’ criteria. Age and ageing, 37(6), 673-679. Bixby, M., & Naylor, M. (2009). The Transitional Care Model (TCM): Hospital Discharge Screening Criteria for High Risk Older Adults. Try This: Best Practices In Nursing Care To Older Adults, (26).